Creating your own unique keepsake pendants can be intimidating and scary to newbies as well as experienced resin crafters. Those who forged ahead without the knowledge of how to prepare images for resin can easily be frustrated. Frustrated by inks running on collage sheet images, vibrant collage sheet colors darkening to gray when the resin was applied and also by bubbles forming in the resin. 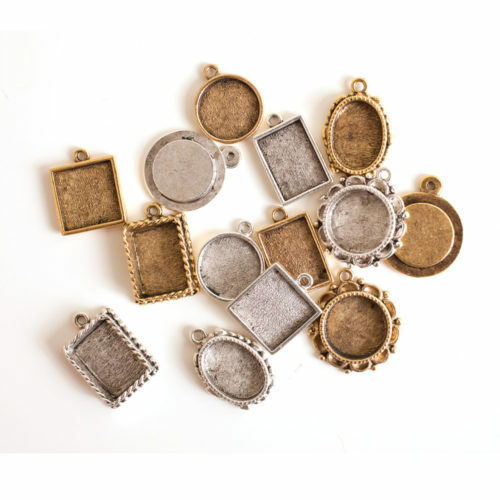 With a wee bit of education, tools, and the right products, we believe that creating keepsake pendants can be very rewarding and fun. This week we have been posting on our blog free DIY Tutorials on how to Make Your Own Keepsake Pendants with Collage Sheets and with Transfer Sheets. 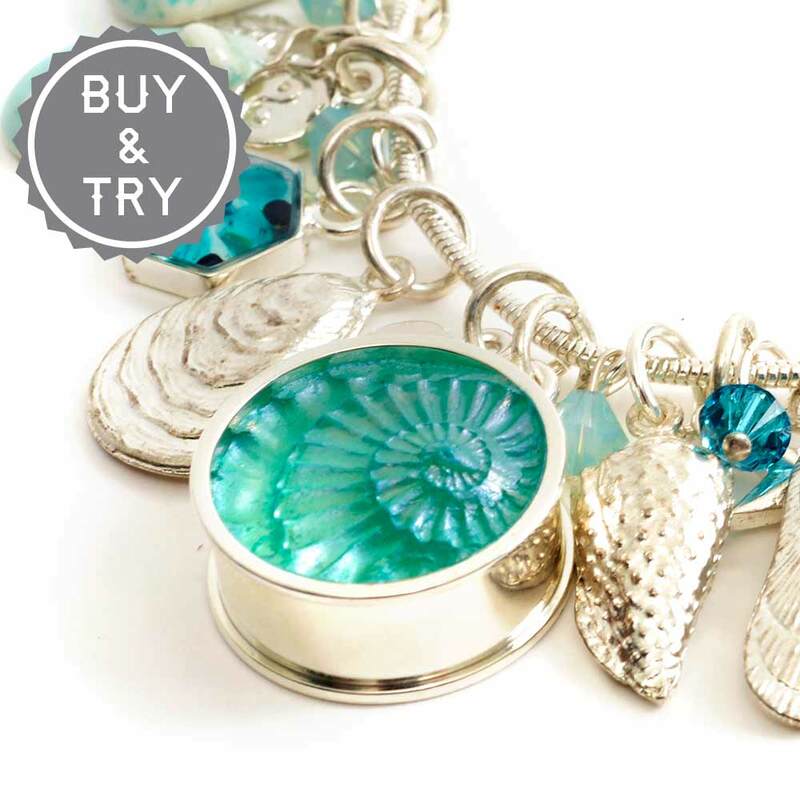 The new Buy & Try Technique Keepsake is a great place to load up on all the products that you will need to create Keepsake Pendants. 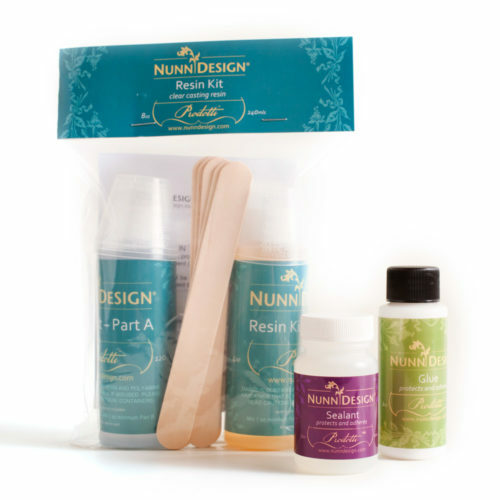 Nunn Design Resin, Glue, Sealant, Collage Sheets, Transfer Sheets, Punches, can be purchased either a la-carte or in a combo pack. 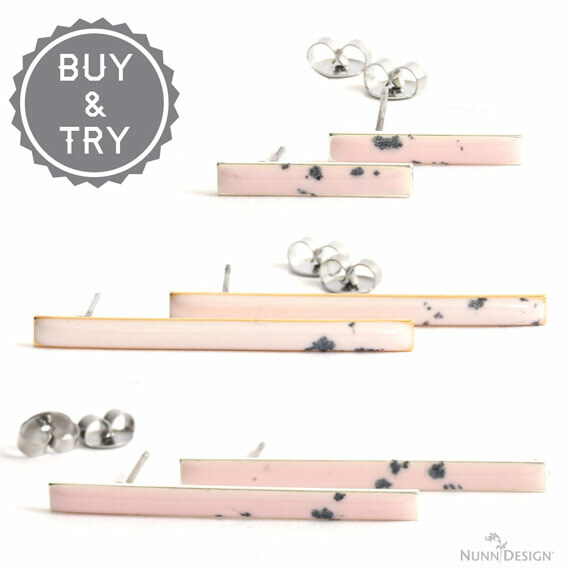 Nunn Design offers many different styles of Patera Bezel Findings. 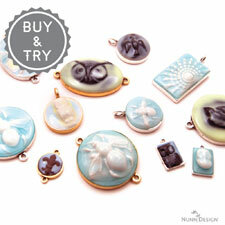 With this Buy & Try Keepsake Pendants, you can explore the various bezel options. 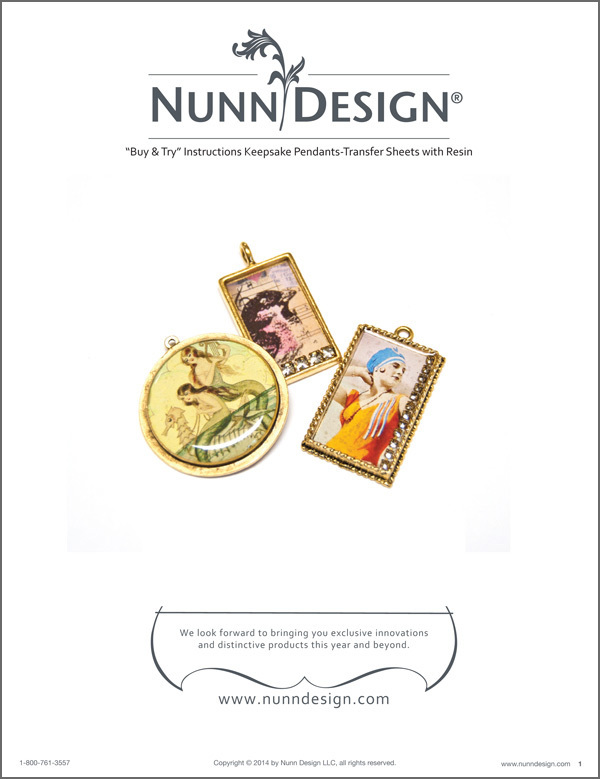 So if you’ve been curious about Nunn Design Classic Pendants, Framed Pendants, Mini Pendants, Ornate Pendants, Raised Pendants or Raised Tags, here is your chance to purchase either a la-carte or in a combo pack. 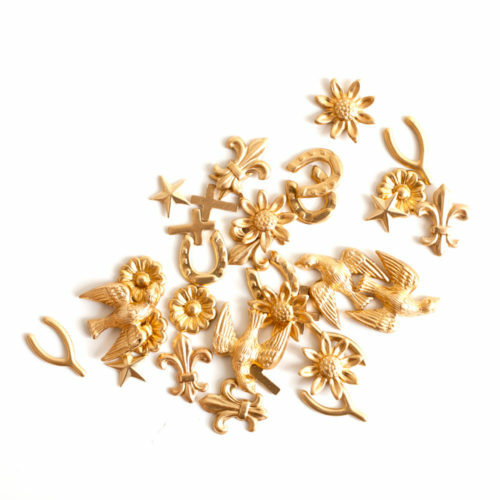 Then there is the little extra bits and bling to embed into resin, making each pendant uniquely yours. Oh, such fun! Purchased either a la-carte or in a combo pack. 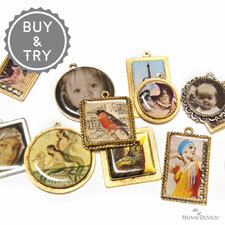 Download our free Keepsake Pendant Tutorials to see just how to create unique pieces of treasured art. 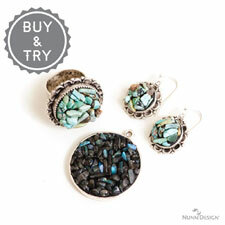 You can explore this technique with our Buy & Try Keepsake Pendants Program. What is the Buy & Try Program? 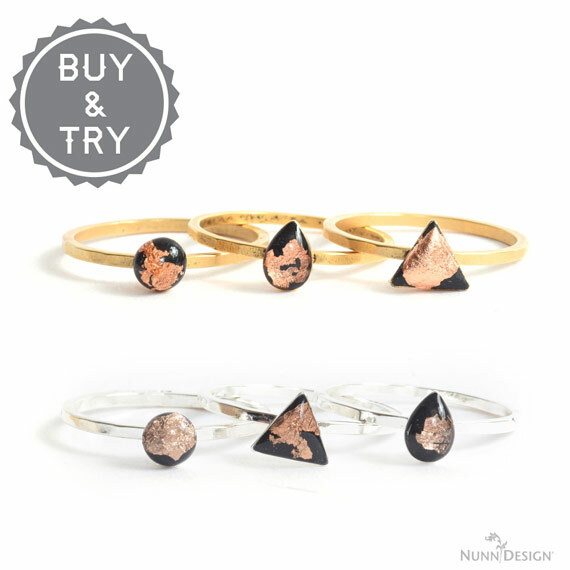 Nunn Design offers a Buy & Try Program to encourage jewelry makers; both wholesale and retail, to buy the products needed to try something new. 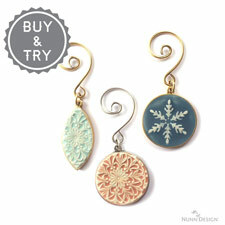 Minimum wholesale quantities for “Buy & Try” items are waived, allowing you to receive the lowest tiered price possible. 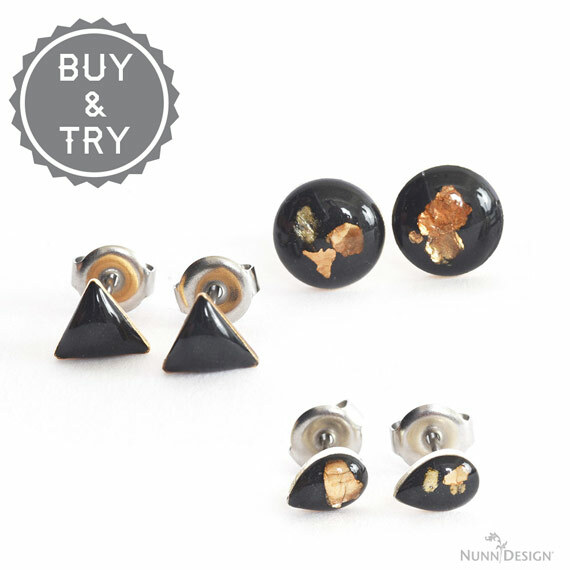 No need to purchase a wholesale minimum order of $100.00 on “Buy & Try” items. You can add these items to your cart and check out with just the items you will need for a day of creating! 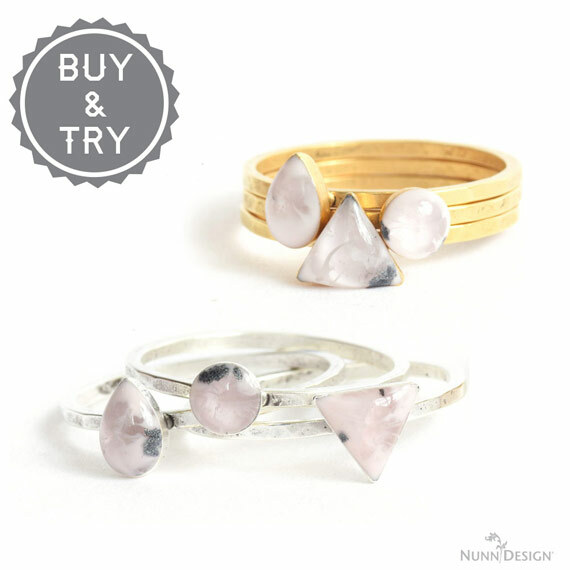 “Buy & Try” items cannot be combined with other wholesale products. Sorry it may be a bit confusing, so email Cheryl at Cheryl@nunndesign.com if you have any questions. 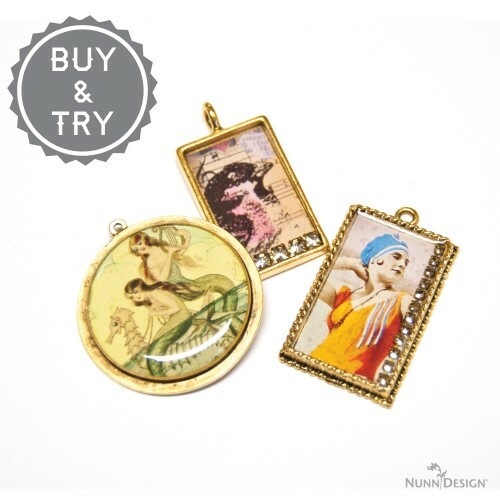 The Buy & Try Keepsake Pendants offer expires July 6th, 2014, at midnight. 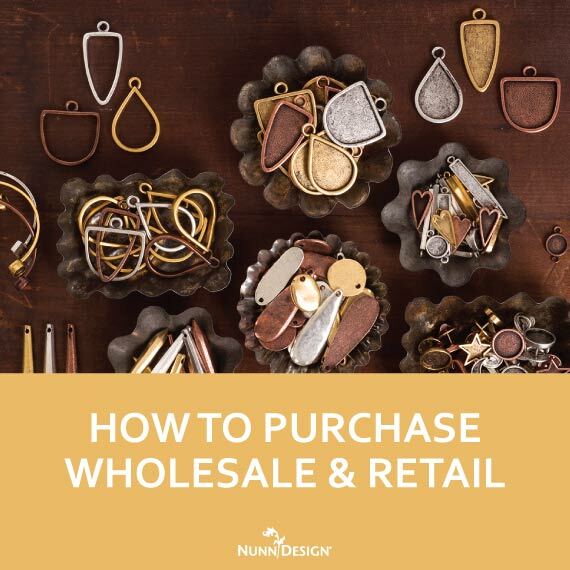 Buy & Try items will stay up for purchase however you will be required to purchase full bulk packs of findings and you may combine these items with regular wholesale items. $100 Minimum order back in effect. So, dive on in. Nunn Design has got your creativity covered! 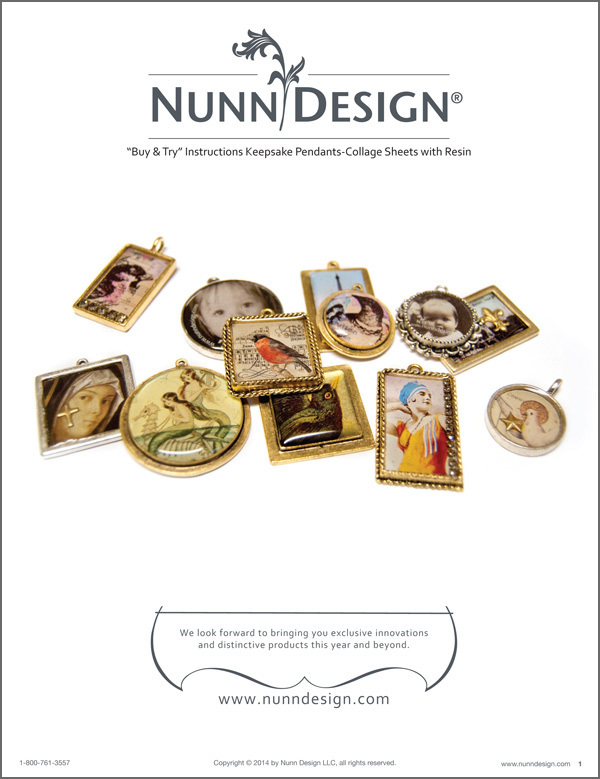 2019 Nunn Design Spring Semester Launches Today with 3 New Tutorials! 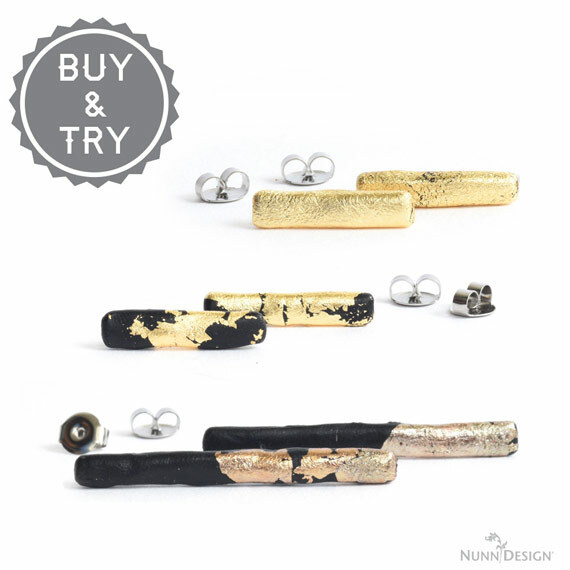 My favorite items are the add ons…I love to patina and color metal and the variety here is extra nice. I really like the Patera Bezel Findings. There are so many to choose from. I’m going to share this again. Didn’t get the Twitter share the first time. I like the collage sheets. They are so cute. I love all the different bezels that are available! They make mixing and matching fun! 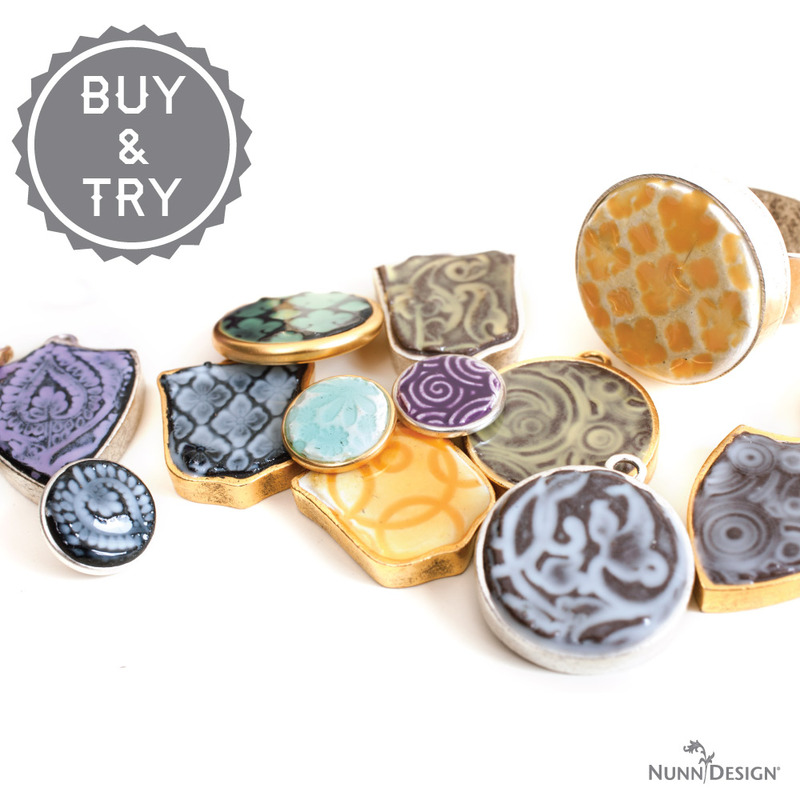 My favorites are the bezels because there are so many things you can do with them. I’m already a facebook fan. Thanks for the chance!